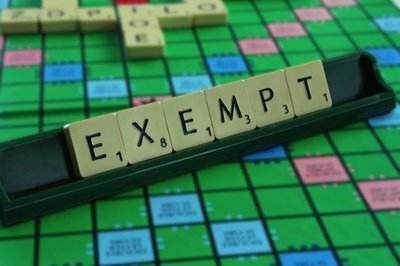 Exempt Supplies: Do You Reclaim VAT On Them? Many farms make Exempt supplies such as let cottages or stabling. This means they do not have to charge VAT on that income. The basic rule of VAT is that input tax cannot be reclaimed on any costs directly relating to exempt supplies. However, if you have a mixture of taxable and exempt supplies you are considered partially exempt. Being partially exempt means you CAN reclaim VAT on expenses incurred on the rented cottage or stables, PROVIDED you pass partial exemption de minimis tests. In addition to reclaiming VAT on agents’ fees, this will also cover repair expenses. If you are planning to renovate your cottages or put a new roof on the stable, the VAT saving could be quite significant. There are three tests for qualification for de minimis. The first , for example, states that if total input tax is no more than £625 per month on average, and the value of exempt supplies is no more than 50% of the value of all supplies, then you can reclaim back the exempt input tax. You need to keep separate figures for exempt and taxable income and separate figures to show purchase VAT entirely for taxable supplies, purchase VAT entirely for exempt supplies and purchase VAT which could be for either supply (e.g. accountancy). The VAT year ends on 31 March, 30 April or 31 May depending on your VAT quarter. As the VAT year end now approaches, it is worth considering doing improvements before the year end. This might spread your Exempt VAT over 2 years and so increase the chance of qualifying under the de minimis rules! If you need further advice and guidance please contact Green and Co.